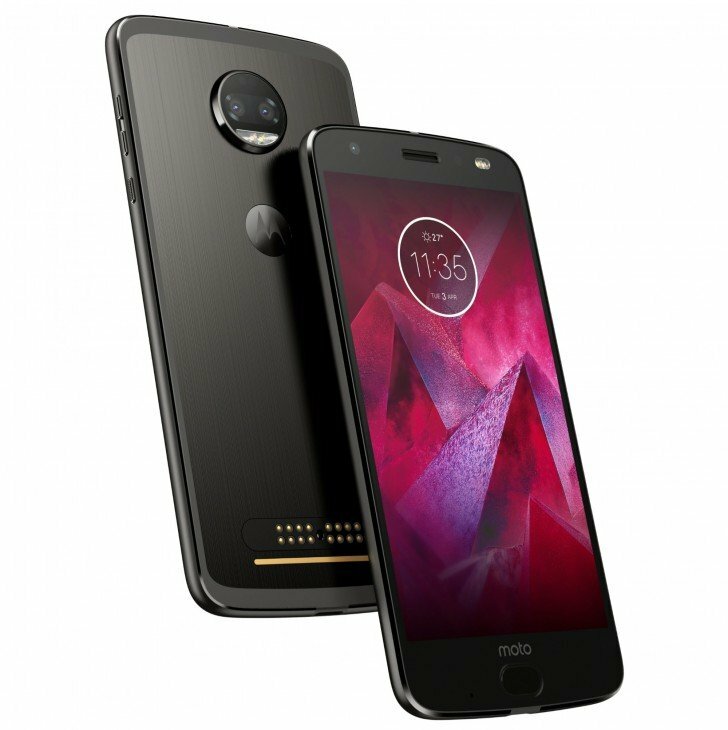 Lenovo merges two phones into one with its new 5.5-inch Moto Z2 Force Edition, which is the combined efforts of Moto Z and Moto Z Force. The phone contains Force in the name since the screen uses plastic as material and is therefore unbreakable. The AMOLED screen is prone to scratches though. However, this can be prevented by applying a screen protector that only costs a few dollars. Moreover, Moto Z2 Force also contains a thin protective layer above the screen that’s easy to replace when the screen becomes full of scratches. The screen resolution is 2,560 x 1,440. The phone is as thin as the predecessor Moto Z. The reason is that Lenovo wants users to snap mods onto the back side in order to enhance the functionality of the phone. The Chinese company that acquired the Moto brand from Motorola a few years ago has released a new 360-degree camera mod. Mods that fit Moto Z also fit Moto Z2 Force, since the form factor and dimensions are the same. Limited thickness does affect the amount of space available to hardware. The battery capacity is only 2,730 mAh, which is lower than the capacity used by Moto Z Force. Furthermore, the phone lacks a headphone jack just like Moto Z. The phone costs US$750, which converts to about NZ$1,140 inclusive of GST. Thus, it goes head-to-head with leading phones like Samsung Galaxy S8. Moto Z2 Force Edition will hopefully reach New Zealand at the end of the winter.